Does protected cultivation have a place in sub-Saharan Africa? A review of the transfer of protected cultivation methods into the region raises questions about performance, profitability, and environmental impact. 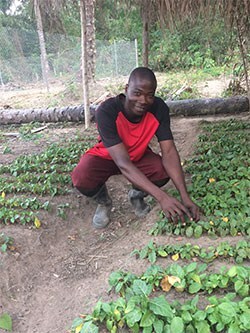 Enterprising vegetable growers demonstrate skills and knowledge gained through two WorldVeg projects. Traditionally a space for families to grow fodder for household animals, backyards in Tajikistan are now flourishing with the support of a USAID project to promote small-scale protected cultivation of seedlings and fresh vegetables.